Celebration Of Christmas Day At Mentor !! 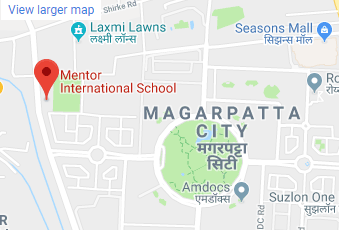 - Best CBSE School In Pune! 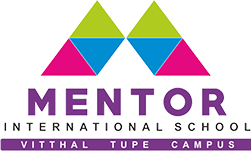 Mentor International School is proudly associated with DanceOceans in the view of overall development of our students in a fun learning environment. Enhance your child’s development and love of music through song, dance, movement games and instruments. With an array of styles, our music classes helps in flourishing overall development of children at Mentor. Robotics as an inventive activities illuminate the youngsters how science, engineering, math, and technology work concurrently while elevating engagement levels and help them to retain more information. We are dedicated to creative excellence where the distinctive creative development of our students is at the core of what we do. Our premier standardized Library and Labs are enriched with new ideas & motivates the future generation to gain knowledge, skills and attributes needed for creative learning. Our yard enriched with Digital Learning solution that foster opportunities for teaching and learning by integrating learning technology with Digital Content. Secured and controlled entry and exit with, 24/7 CCTV Surveillance & Maximum female teachers/staff. Fire compliance school building. We render an environment friendly journey with most regulated and carefully designed safest transportation of getting your beloved kids to and from school. Our systematic & spacious dining hall fortify great flourish which yield an unique opportunity for learning dining skills, table manners and food education. Persuading unripe brain for devoting constructive time with creative activities bestowing personalized attention to every kids. Come up with exceptional care owing to licensed, trained caregivers in an environment where tiny tots will get valuable socialization. Celebration Of Christmas Day At Mentor !! Jesus Christ is the Savior of the world to whom we must believe and whose divinity we must accept. We celebrate December 25th as Christmas Day as birth anniversary of Jesus. The Gospel of Luke recounts that a 12-year-old Jesus had accompanied his parents on a pilgrimage to Jerusalem and became separated. He was found several days later in a temple, discussing affairs with some of Jerusalem’s elders. Why Christmas Day Is Celebrated World Wide !! Christmas Day is celebrated to remember the birth of Jesus Christ, who believed as the Son of God. They also believe that Jesus is the light of the world. The name ‘Christmas’ comes from the Mass of Christ (or Jesus). A Mass service is where Christians remember that Jesus died for us and then came back to life. The ‘Christ-Mass’ service was allowed to take place after sunset, so people had it at Midnight. The angel said the news of Jesus’ birth would cause “great joy” and would be “for all the people”. The joyful Christmas Day celebration would be universal for every kinds of demographic. People around the globe would be glad for this occasion. St. Nicholas was a Bishop who lived in the fourth century in a place called Myra in Asia. He was a very rich man because his parents died when he was young and left him a lot of money. Saint also a very kind man, who helped the poor and giving secret gifts to people who needed it. He is a legendary figure, who brings gifts to the homes of well-behaved children on Christmas Day Eve. The festival is celebrated it most by buying presents, decorating their houses, visiting relatives and friends. Our gift to our children will be teaching them Who Jesus is and what Christmas Day is all about. Children’s gift us with their example of happiness which will lead us to recapture our own sense of amazement. The Christmas tree is an evergreen trimmed with lights, decorations, and tinsel. The tree is derived from a “paradise tree”, or the tree in the Garden of Eden. Fir trees were brought inside and lit with candles as a symbol of the hope. The hope represents spring would return with new crops and plentiful food. The Christmas wreath represents everlasting life and God’s endless love for us. Here are five great appearances of angels. The appearances of angels to Mary, Joseph, and the shepherds — there are the three messages. These messages perfectly explain the true, divine meaning of Christmas Day. Jesus was born as a helpless infant but became our great Savior through enduring all trials and overcoming all things. Christmas Day teach kids how to stop doubting their abilities & looking down on themselves by comparing with others. We at Mentor aspires to bring the truth among tiny minds, that whatever stories surrounding our birth and upbringing, its purpose is bigger and better. 10 Best Storytelling Benefits That Change Process Of learning !